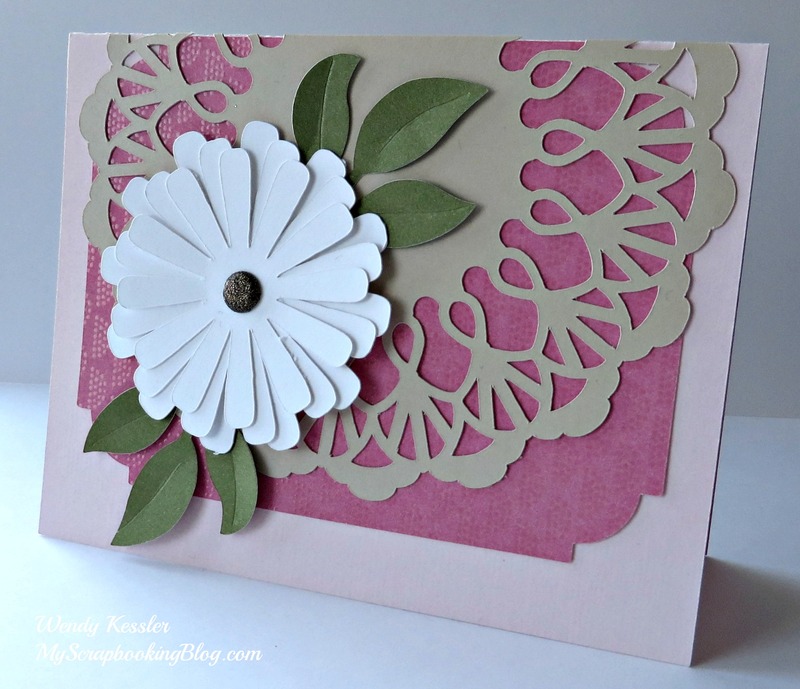 This was a Cricut Access card with a very pretty doily design. Scrapsketch now has card sketches! 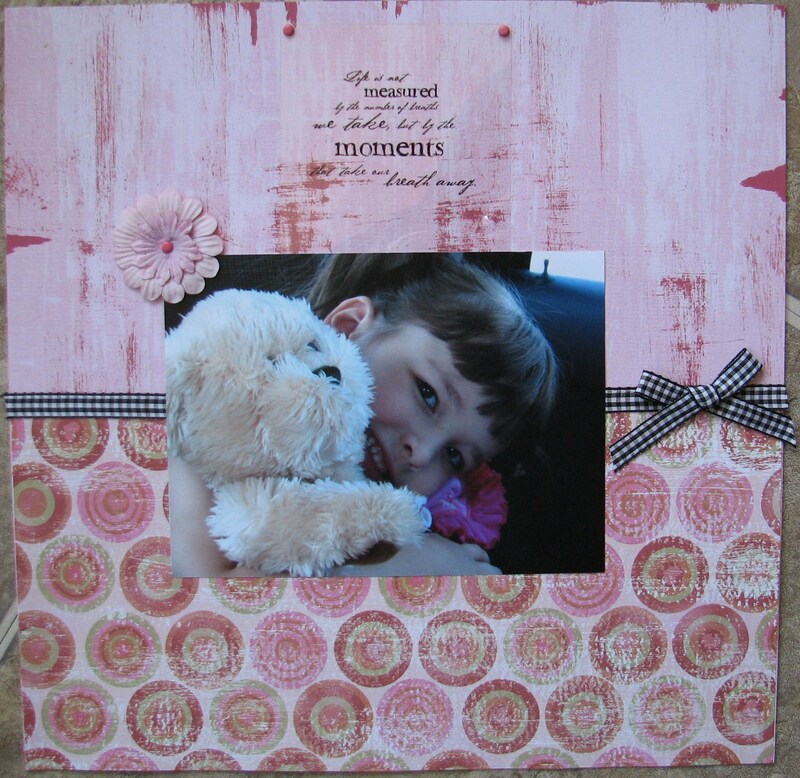 Products used: We R Memory Keepers rhinestone brad, (all other CTMH:) Tickled Pink patterned papers, Just Blooms Paper Flowers – Big Pinks, Hollyhock ricrac, Hollyhock Stitched Ribbon. For more card and scrapbook sketches go to ScrapSketch.com! Here is a simple page that draws your eye directly to the photo. Supplies: paper, ribbon, flower with brad, and quote.